This year is being touted as the year of the electronic book, but the gadget won't change people's passion for the printed page, writes Lisa Jardine. I have always cherished an active relationship with my books. I forge an intense bond with every volume that helps shape my ideas and understanding. It becomes much more than simply a tool for providing information. Libraries are full of evidence that I am not alone. in every place where it doth lie." This caution by Stephen Dance against casual theft is less stern than the one written with equivalent care across the flyleaf of another manual of the period: "He that doth this book steal he shall be hanged." The force of both inscriptions, however, is the same. To both owners, their book is a treasured personal possession, an object whose loss would be keenly felt. 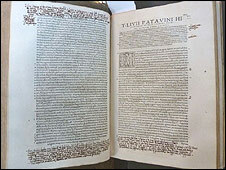 It is not hard to understand why medieval owners of manuscript books should have treated the contents of their libraries with particular respect when we look at the hand-copied, beautifully illuminated versions of classical and scriptural texts, displayed in glass cases in libraries and museums. To their privileged owners they were coveted objects, symbols of conspicuous consumption to be displayed alongside paintings, sculpture and silverware. No wonder then that the very first printed books were carefully contrived to simulate their hand-written predecessors, with wide margins, elaborate typefaces, hand-illuminated capital letters and tooled-leather bindings. From the start, though, printed books lacked that unique quality that gave each gorgeous manuscript its charisma and cachet - they were, after all, produced on one of the earliest forms of manufacturing production line. Albrecht Dürer, whose consumption of printed materials I touched on last week, made a witty little pen-and-ink drawing of books being mass-produced like loaves, loaded on to a paddle and fed into a baker's oven. We still recognise the non-unique quality of a printed book when we refer to the one we have as a "copy". Ours is a mere imitation of an absent original, from which it has been derived by mechanical reproduction. Yet, as the book curses suggest, for centuries those who acquired simple reproduced texts, unbound or between plain board covers, continued to treat their books as somehow especially dear to them. The most striking way in which readers made these impersonal volumes their own was by marking their books - filling their margins and every other available white space with private jottings, from the empty areas of the title-page, to the index pages and the ornamented gaps between chapters. Thousands of annotated books survive, crammed with marginalia written more or less legibly by their owners. On the whole, the traces of reading left by early readers in their books are as idiosyncratic and opaque as the markings people continue to make today with yellow highlighter pen, or pencil underlinings. Very occasionally, though, a reader annotates a book so vividly to connect us to recognisable people and events in the past. Against a passage in his copy of the Roman historian Livy's Decades, Gabriel Harvey, professor of rhetoric at the University of Cambridge in the 1580s, records (in Latin, in bold black ink): "Sir Philip Sidney and I discussed these three books of Livy together in private, analysing them as far as we could from every point of view, especially for the politics. We did so just before his embassy to the Emperor Rudolph II, when he went to offer congratulations in Queen Elizabeth's name just after he became emperor." The end of physical books? Here is an extremely precise reference. Harvey and Sidney consulted Harvey's copy of Livy together, some time between October 1576 (when Sidney returned from service in Ireland) and February 1577 (when he set off on the trip to Prague to which Harvey refers). Harvey's reading programme formed part of Sidney's preparation for his first foreign diplomatic assignment. The university don sat at the nobleman's elbow and helped steer him through such content as might prove useful for his mission. Harvey's note - one of many interjected allusions to occasions on which he consulted his Livy for specific political purpose - reminds us that reading is frequently not a solitary affair. Whether two or more readers give their attention to a book together, as Harvey and Sidney did, or sequentially, by passing the volume from hand to hand, reading often involves sharing the content, and the reader's response to it, with others. Here too, early modern readers had a way of capturing the active nature of their relationship to their books and to each other. On the title page of many surviving books the owner has signed his name, and then added "et amicorum" - "my friends' too". It means that the book is intended to be shared, passed from one acquaintance to another, or consulted jointly in something like an early modern book club. In this case, the owner's marginal jottings become part of a dialogue with the borrower of the book, enhancing his or her own encounter with the contents. All of which should give us pause for thought as e-enthusiasts proclaim 2010 to be the year of the electronic book. The online bookseller Amazon has just announced that it will launch its page-sized Kindle e-reader across Europe later this month. 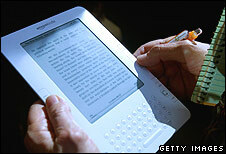 In the United States, sales of the Kindle, and competitor electronic readers like Sony's, are already booming. Meanwhile, Apple is about to launch its long-awaited iSlate or iTablet, with as-yet unknown innovative features all of its own. According to Amazon Kindle's vice-president, Ian Freed, the success of the Kindle signals the end of physical books: "The only question is does it take three years, five years or 20 years?" I remain to be persuaded that e-readers are capable of matching the varied activities we engage in when reading. More is required to satisfy the dedicated reader than replicating the content and appearance of a printed book, or emulating the action of "turning pages" using a tap on a touch-sensitive screen. The electronic book offers me a convenient extra way to read while on the move. Given a good enough screen I am sure that I will use it, and I certainly like the idea of being able to buy and download difficult-to-locate texts at any time of the day or night. This may also be the device that will allow newspapers and magazines to survive as revenue-earning businesses. But I do not expect to stop using physical books. "This whole book, written & printed, of continual and perpetual use: and therefore continually, and perpetually to be meditated, practised, and incorporated into my body, and soul. Better any one chapter, perfectly and thoroughly digested, for present practice, as occasion shall require: than a whole volume, greedily devoured, and rawly concocted." And don't forget that critical ingredient for "continually and perpetually meditating and practising" on a book - the sharing of it with friends. Passing your online-purchased books to others is something few e-reader manufacturers are even prepared to consider. Gabriel Harvey was a keen advocate of 16th-Century "new technology". His marginalia record his enthusiasm for technical instruments of a great many kinds. But without the possibility of being able to pass a much-annotated book from friend to friend, he would, I think, still struggle to love his Kindle. I don't believe either, that the advent of the 'e' book will stop us buying and loving books. I am reading English literature at university and love the fact that I can study anywhere; all I need is a book. The 'e' book would be tiring for the eyes, yet another 'computer' to turn on and worry about breaking... isn't it enough that we have mobile phones and computers?! Books are meant to be an escape from everything else media related, and I for one, am never going to give that up for convenience. Nothing beats looking at a bookcase or two and seeing wonderful literature there to pick up and read. Electronic reading may be the way but not in my house. Forget high-brow notions of "real reading" - why make these distinctions? I read a huge amount for pleasure and study, and have a well-stocked library of books at home, but I also travel a lot and, when considering my hand luggage, I'd pick a Kindle over 4 or 5 heavy books any day. Sometimes real books will be more appropriate, and sometimes e-books will fit the bill better. Why over-complicate the issue? I was privileged to serve my apprenticeship as a printer/compositor nearly 60 years ago when moveable type was still the norm and which hadn't changed much since Caxton. To set the type and see it being printed to the final finish by the binders was a sensory joy, to pick up a new book and smell the paper and ink takes me back to those days, something my Apple computer could never do. I have just acquired an e-reader. I am an avid reader of fiction, love books - for me, the e-reader will be an extra tool, something to take on holiday when luggage is restricted. I also get guilt feelings when I consider the number of trees I must be responsible for by now... but not yet enough to stop buying the "real" thing. If this is the "year of the ebook" then it's been a long while in arriving. As an avid user of Pocket PC devices since 2000, I have also been reading books on these devices since then. Almost 10 years. Hundreds of books. Several programs to read with, some with annotative tools, others not. In no case so far have annotations been shareable, in terms of easily letting other readers see such markings or text, owing either to proprietary controls over content (Microsoft Reader being the most restrictive... and now it's all but gone, as users are uninterested in such DRM nonsense) or technical difficulties in finding/transmitting/installing such data. But these are early days, as your article suggests. Give it another decade, a blink in terms of book history, and we shall see pressures from readers resulting in more openness, more sharing. Give it another 20 years and ebooks will have become freeform things, reinvented by individual users at a whim, shared willy-nilly as we like. Another advantage of print is that it doesn't run out of battery power mid-wordsworth. I shan't be giving up my paperbacks just yet, though I read many newspaper articles online I have only done so since the advent of a new computer and a very large organic screen. I can't envisage using a "reader" of any sort other than, as you state, when on the move or possibly it could have its uses when your partner wishes to go to sleep at night-flickering torches are rarely appreciated. There is so much about a physical book, to have the e-book replacing it would require obliterating the sense of tact and intimacy, smell and expectation, cosiness, companionship and warmth that only a physical book can provide. I have to agree... and disagree. I've never jotted down notes in the margins of books I've owned - not fiction anyway. Maybe the odd academic text when I was at university. So I don't buy that argument. On the other hand, I've tried an e-reader and I found it was difficult (and uncomfortable) to hold. So I'm really unsure how popular they'll be for fiction. 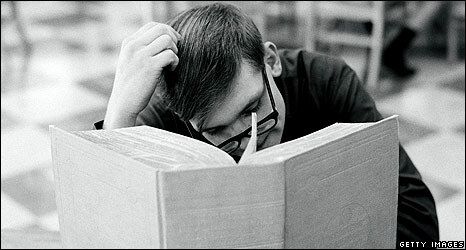 The Apple Tablet might well be a great way of accessing electronic newspapers and blogs, but books... I'm not so sure. Paper books are not on their way out; and hopefully with any luck, Kindle-like books will fade away with last years bad fashion. I personally don't know a soul that owns a Kindle, nor have I ever seen one used in a public place and I am well travelled... so I'm doubting that they are so very popular as claimed. Reading a book is an art, a science, a joy and a pleasure. Nothing can replace a true readers' need to hold that book in hand while sifting through page after page, smelling the waft of knowledge and grammar. So to all you electronic book makers I say, "good luck with that". It is inevitable electronic readers will become the norm, but there is nothing so intimate as snuggling down in one's bed or an easy chair with a book, with the feel of the paper, the smell of the printed page, the link between words and mind. I find it as consoling and personal as sitting before a warm fireplace in winter. The feel of a cold piece of steel in my hands just won't feel the same.